We are helping a community rediscover its heritage. In 2009, college faculty and students led by Katherine Ambroziak joined the East Knoxville community to reclaim and reanimate Odd Fellows Cemetery, a deteriorating African-American burial ground that dates back to 1880. This initiative addresses the negative physical and social influences affecting the area and offers the community a safe, engaging and respectful environment to rediscover its heritage. Odd Fellows Cemetery is one of Knoxville’s first dedicated African-American burial grounds, containing more than 6,000 graves. It is located at 2001 Bethel Avenue, Knoxville. Since 2009, we along with the Knoxville ReAnimation Coalition and the City of Knoxville have collaborated with community and student volunteers to bring about change in the cemetery. Led by KRC founder Stephen Scruggs and our own Katherine Ambroziak, the reclamation project is a community-oriented outreach initiative that seeks to restore community memory and pride by engaging participants in a process of restoration and design of a memorial landscape. Over the past years, our faculty have worked with more than 1,500 community and student volunteers. Volunteers from Project GRAD, Chi Sigma Iota and Liberty Church have helped map the 250 stones in the cemetery, and work also has included designing and building a community passage. Read more about the Odd Fellows Cemetery project. This project gives us an opportunity to give back to this community that has taught us so much about pride and grace. 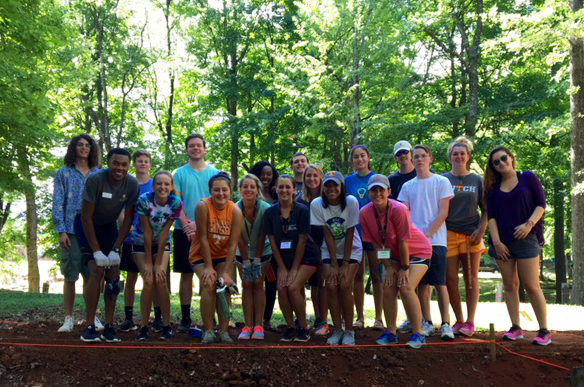 Students from UT's Service Ignite Serves fortify the passages in Odd Fellows Cemetery. 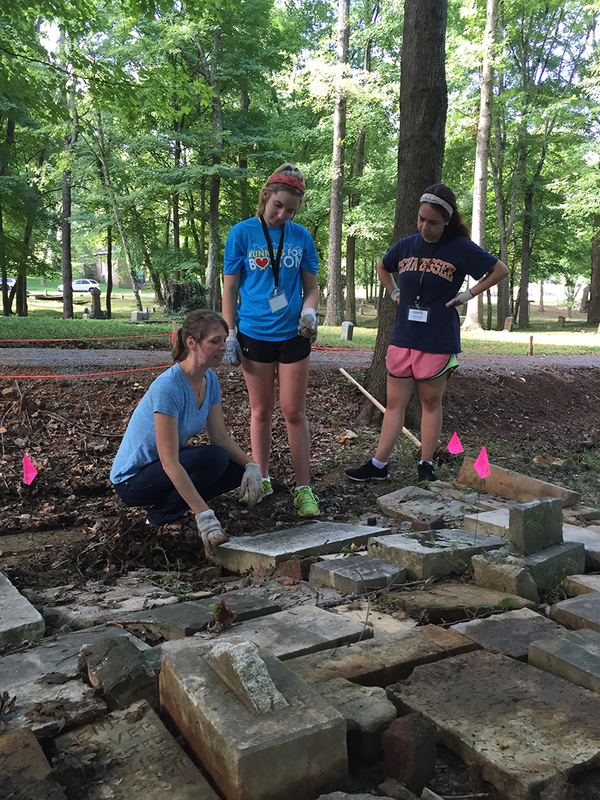 Each summer, up to 150 Architecture students and university freshmen in UT’s Center for Leadership and Service Ignite Serves program build and fortify the earthen walkways that provide safe, accessible passage through the cemetery. So far, they have constructed more than 1,300 linear feet of passage. The Knoxville ReAnimation Coalition is a grassroots, not-for-profit organization whose mission is to educate and create a greater sense of self-worth amongst Knoxville’s African-American community through projects that illuminate and valorize its past achievements. It strives to strengthen social structures and restore community identity.